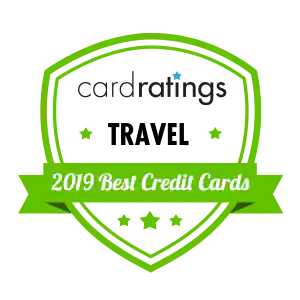 This is one of the best rewards cards out there in terms of earning great awards from your general spending – no matter where you shop! You don't have to worry about rotating categories or tiers. Earn two miles per $1 on all your purchases, and 5 percent back when you redeem your rewards for travel (turning this into a 2.1 percent back travel offer). Pay no interest for 12 months on balance transfers made within the first 45 days of account opening. That $89 (waived first year) annual fee is less than many travel rewards cards charge, but it's still something to think about. You don't want to be paying a fee for a card if the rewards aren't going to fit well into your lifestyle. Each time you redeem your rewards, you get 5 percent back to use on your next redemption. So if you redeem, say, 70,000 travel miles, you get 3,500 miles back to put toward your next trip. We love this innovative approach to earning travel miles. Unlike some travel cards, spending on travel is not the only way this card rewards you. The two times the miles you earn each time you spend $1 applies to all purchases you make. Barclays calls the benefits of this offer “rich rewards.” So, be prepared to spend big to be rewarded big. As with any worthwhile bonus, earning the welcome offer of 70,000 miles requires you to spend some cash, specifically, $5,000 in 90 days. So if you’re a light spender, this might not be the card for you. Furthermore, the $89 (waived first year) annual fee is a bit steep, but it’s not unheard of, and is easily offset if you use your credit card often. The Chase Sapphire Preferred® Card offers similar perks for the travel-rewards seeker, though the points you earn with the Chase card, known as Ultimate Rewards® points, are more flexible than the miles you earn with the Barclaycard. That's in large part because Ultimate Rewards® points are transferable to a number of airline and hotel loyalty programs in addition to being redeemable directly through the Chase travel portal. With the Chase Sapphire Preferred® Card, you'll earn two times the points on your travel and dining purchases worldwide and one point on all your other purchases. Then, when it comes time to redeem your points, you'll receive 25 percent more value for the points if you redeem them for travel through the Ultimate Rewards® portal. That redemption bonus is why the signup offer with the Chase Sapphire Preferred® Card is so lucrative: Earn 60,000 bonus points, worth up to $750 when redeemed for travel through the portal, after making $4,000 in purchases in the first three months. Obviously, the needed spend to earn the bonus is a bit lower but the annual fee is a bit higher at $95. Still, if you see yourself wanting redemption flexibility, the Chase Sapphire Preferred® Card might be the better option. The Citi Premier℠ Card allows users to earn 50,000 points after spending $4,000 within the first three months of account membership. While 50,000 points aren't quite as attractive as the Barclaycard Arrival Plus® World Elite Mastercard®'s 70,000, they are certainly nothing to scoff at, especially considering the fact that they are worth $625 when booked for airfare through Citi's ThankYou® Travel Center. Points can also be used to shop online at Amazon.com and BestBuy.com, to purchase show tickets through Live Nation®, or for gift cards. The Citi Premier℠ Card offers users a quick way to rack up points with three points earned on all travel purchases, including gas station purchases, something not commonly grouped with travel purchases, two points for dining out and entertainment, and one point for everything else. 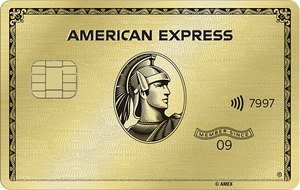 This card does not charge foreign transaction fees, making it a great international travel companion, however, it does charge users an annual fee, $95, waived for first 12 months, which is just a smidge higher than the Barclaycard's annual fee. Taking the high sign up bonus and ease of earning rewards into consideration though, most users will probably find that the fee is worth it. The Capital One® Venture® Rewards Credit Card has a slightly lower intro offer to the Barclaycard Arrival Plus® World Elite Mastercard®– Venture® offers 50,000 miles (a roughly $500 value) for spending $3,000 in the first three months. The Capital One® Venture® Rewards Credit Card also offers two miles for every $1 spent on every purchase. The biggest differences: The Capital One® Venture® Rewards Credit Card $0 annual fee is also introductory, but in the second year, you pay $95, which is just a bit more than the Barclaycard Arrival Plus® World Elite Mastercard®. The Venture® card does not offer 5 percent miles back when you redeem your rewards. But you can fly any airline, stay at any hotel, anytime and not have to worry about blackout dates. You can also transfer your miles to over 12 leading travel loyalty programs. So, is the extra few dollars per year in annual fee worth it? Only you can decide. However, another kicker might be that the Capital One® Venture® Rewards Credit Card offers you up to $100 in statement credit to cover your Global Entry or TSA Pre✓® application fee every four years. Clearly, the Barclaycard Arrival Plus® World Elite Mastercard® is for the traveler who regularly spends with a credit card. If you are able to qualify for the introductory bonus miles, and venture out more than once a year for travels, this card is one to consider. This is not a forgiving card if you start missing payments or stop using the card, since – like most cards of this type – truancy and inactivity could forfeit your miles and remove you from the program. Earn 4X Membership Rewards® points at U.S. restaurants. Earn 4X Membership Rewards® points at U.S. supermarkets (on up to $25,000 per year in purchases, then 1X). Earn 3X Membership Rewards® points on flights booked directly with airlines or on amextravel.com. 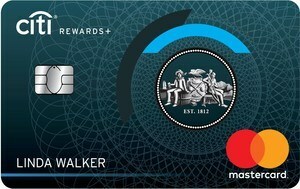 Introducing the New Citi Rewards+℠ Card - the only credit card that automatically rounds up to the nearest 10 points on every purchase - with no cap. Earn 2X ThankYou® Points at Supermarkets and Gas Stations for the first $6,000 per year and then 1X Points thereafter. Plus, earn 1X Points on All Other Purchases.